The head of the Samaria Regional Council, Yossi Dagan, is furious at Magen David Adom's (MDA’s) decision to reduce activity in Judea and Samaria. "This is real discrimination that endangers the lives of the citizens." Addressing the episode that repeats itself every year, Dagan said that "The only real explanation is the cynical use of the residents of Judea and Samaria by the Finance Ministry, Health Ministry, and MDA as hostages of internal wars. There is no other explanation for this scandal. Every year we need to deal anew with the fact that the Ministry of Health has not transferred a budget to MDA, while the Ministry of Health explains that it has not received money from the Ministry of Finance. The truth is that all this should not have to concern the residents of Judea and Samaria. " 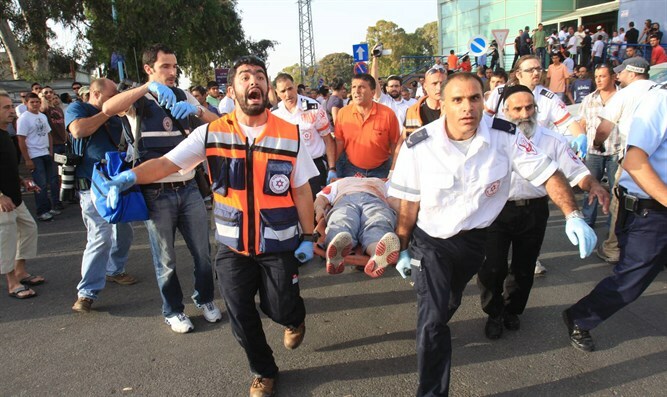 "The residents of Judea and Samaria are citizens with equal rights in the State of Israel, they pay their dues, and it is unthinkable that our residents are not receiving something as elementary as emergency medical services, certainly after such a tense period,” Dagan said. One of the stations to be closed is in the Samaria Regional Council, and Dagan says he will fight to prevent this: "We will not give up this elementary right. This circus must end."